This ride has now been cancelled. It has been replaced by The Winter’s Coming Ride. Many MTBers also dabble in other forms of cycling and the latest craze is to ride a racer off road. 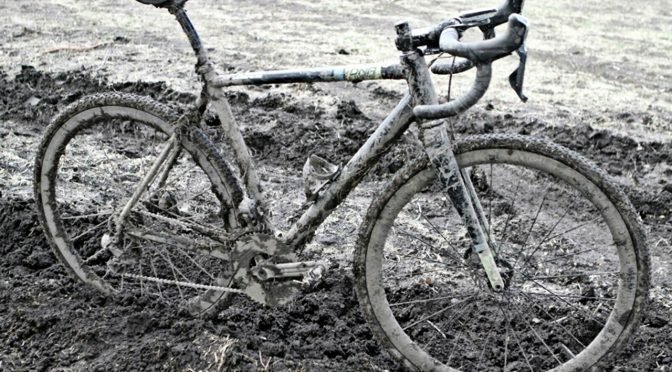 This used to be called CX (cyclo-cross) then when that wasn’t cool they called it ‘gravel riding’ but that didn’t cover it so they started calling it ‘adventure riding’. Anyway, it’s basically longer distance on-and-off-road riding on a bike with drop handlebars ,which looks like a road bike but with chunkier tyres, beefed up frame joints and lower gears. This is a first for MBS, and although I can’t see it taking over from proper mountain biking, it would be nice to have an annual event to look forward to (and let’s face it – it gives us an excuse to buy another bike). We will be setting off from Croft on a route that is 100km with about 50/50 tarmac and gravel. You will need tools, spares, food, drink and appropriate clothing. I am aiming to be back at croft by 3pm which means an average speed of 20kmph (12.5mph) plus stops. There will be nothing that MTBers would consider technical but if you are a confirmed dyed-in-the-wool roadie it will scare the life out of you! Read about one of our members’ first year of Gravel riding here. Looks like it would have been a good one! Is the route available? I’m interested in longish gravel/tarmac routes. Thanks!